Valentine’s Day is the ideal time to show an elderly loved one that he or she is loved and appreciated. Seniors enjoy celebrating the holiday as much as anyone else. There are many activities your loved one can engage in on Valentine’s Day. Invite your parent to help you decorate the house for the occasion. He or she might enjoy making craft projects with you and the grandkids. Make a simple centerpiece by placing a bouquet of silk roses in a clear vase and filling it with candy conversation hearts. Use white, pink, and red felt to make decorative placemats. Hang swirls of pink, red, and white crepe paper streamers. Perhaps make a few Valentine’s Day cards for each member of the family. By creating decorations, seniors have the chance to enhance their cognitive health. The creativity, physical activity, and problem-solving skills needed to create the decorations are also good ways to stimulate various brain locations. Gather in the kitchen to bake some Valentine’s Day cookies. Have plenty of colorful icing and embellishments on hand so your loved one can express his or her creativity. Perhaps make some chocolate-covered strawberries. Play some of your parent’s favorite love songs in the background. Baking and listening to music may also spark memories of holidays and other events gone by. Some seniors have health conditions or mobility issues that limit the ability to cook on their own safely. In Winnipeg, senior care providers can benefit aging adults in a variety of ways. From cooking nutritious meals to offering timely medication reminders, the dedicated caregivers at Home Care Assistance are available to help your elderly loved one 24 hours a day, 7 days a week. Make or download designs for holiday-themed bingo cards. Use candy kisses for markers. Play Scrabble, but limit word creations to vocabulary related to Valentine’s Day. Find some traditional puzzles representing love and romance, then gather around a table and help each other put the puzzles together. Game play is another wonderful way to stimulate the brain, build new neural pathways, and maintain cognitive health. Make a giant bowl of popcorn laced with candy hearts for the event. 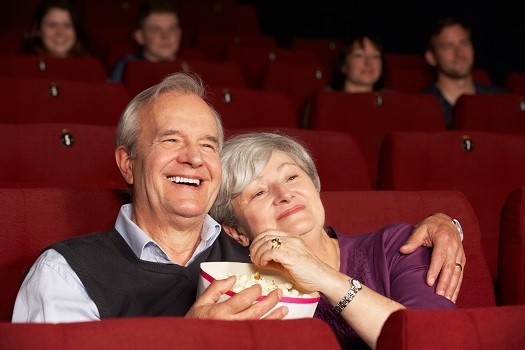 Choose a couple of movies that appeal to seniors and younger family members. Depending on everyone’s tastes, the movies might include romantic comedies or inspiring tearjerkers. Dim the lights, get cozy, and enjoy the show. Stimulate your loved one’s memory by asking him or her to share stories about first dates, first kisses, and other fond memories. Family members who provide care for aging loved ones also need time for romance and to socialize with friends and other family members. There are a variety of reasons family caregivers should consider respite care. Winnipeg, MB, families often have additional responsibilities that make it more challenging to provide the care their senior loved ones need and deserve. A professional respite caregiver can take over your important caregiving duties, allowing you more time to focus on yourself. Invite your loved one to go on a romantic journey. Maybe visit the location where your parents first met, or stay at a favorite family vacation destination. Plan holiday-themed activities based on the location you choose. Enjoy a candlelit dinner, or visit a candy-making shop or bakery for some holiday treats. The trip is bound to provide your loved one with the chance to relax and rejuvenate. Share memories from the past while making new ones. Love, connection, and social activity are celebrated on Valentine’s Day, but a professional caregiver can be a wonderful source of companionship and support every day of the year. If you’re the primary caregiver for a senior family member and are looking for professional senior care, Winnipeg Home Care Assistance should be your top choice. Our dedicated and compassionate caregivers are committed to helping older adults manage their health and enjoy a higher quality of life in the golden years. To hire a dedicated caregiver, call us at (204) 489 6000 today. What Are the Top Reasons for Reduced Mobility in Seniors?